As soon as we arrive from the airport, another Wycliffe photojournalist and I immediately gear up and head down towards the Honiara soccer stadium where the opening ceremony is already under way. It was easy to find, just follow the throngs of people all heading the same direction. We finally squeeze through the human funnel that is the tiny single gate and manage to sweet talk our way into the press area even though we are yet to pick up our press passes. The massive lenses hanging from our shoulders are an indication that we mean business. 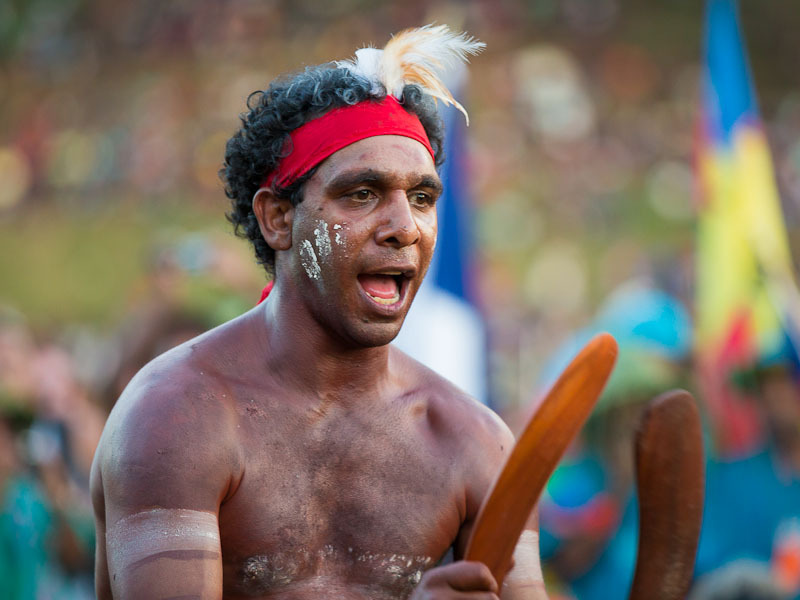 We cruise around the soccer field filled with thousands of people in celebration dress as the dignitaries of the Solomon Islands give speeches. This is no small feat they have achieved. 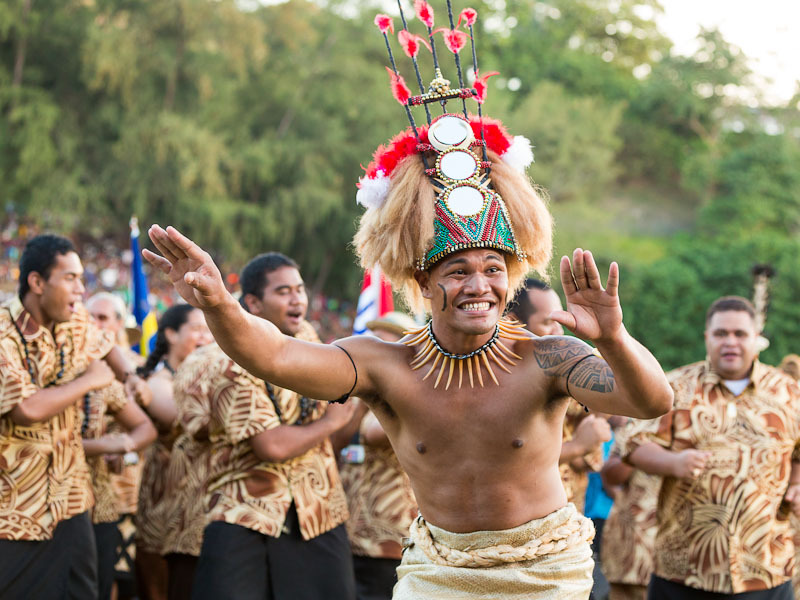 This festival is the closest thing to the Olympic Games for Pacific Islanders. A huge international event. I’m trying to work out what is going on. The speeches end and the presentations begin. One by one each delegation comes forward to the small stage of dignitaries with a gift and a dance representing their unique culture. I manage to crouch just below the small stage – front and centre – and shoot like crazy. 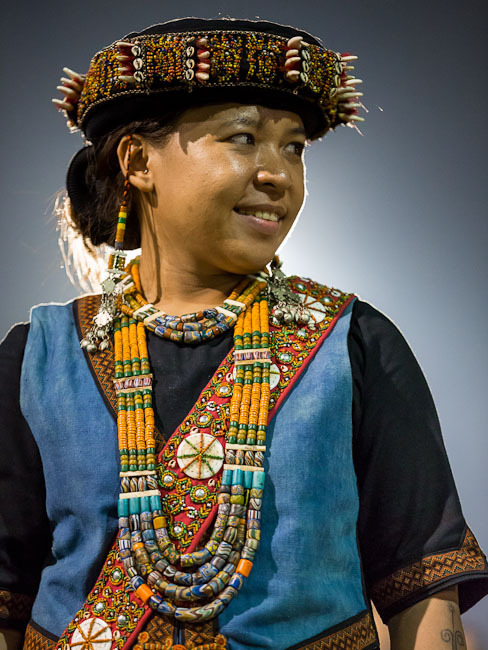 First up is Guam with long grass skirts and perfectly synchronized percussion and dance. 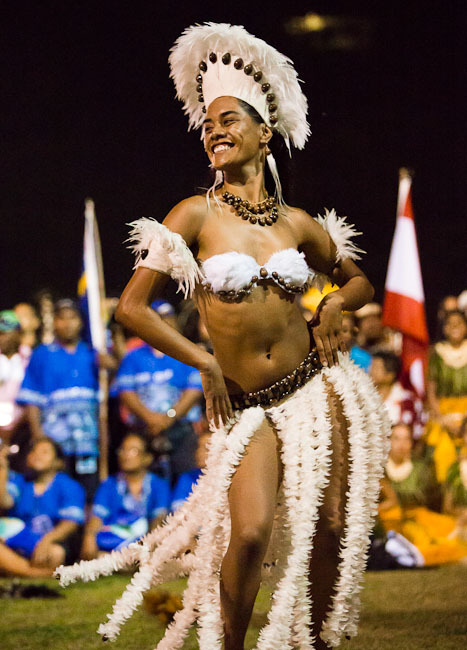 Then American Samoa gives me a warm swelling feeling as they sing – almost gospel style – while a couple of dancers parade their special cultural dress. 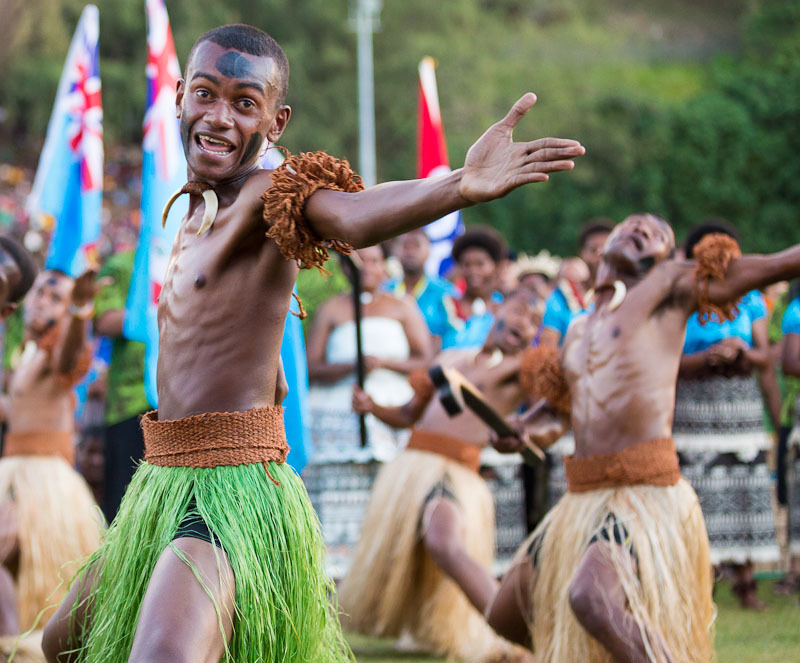 The Fijian’s warrior dance is energetic and I struggle to catch a still frame. 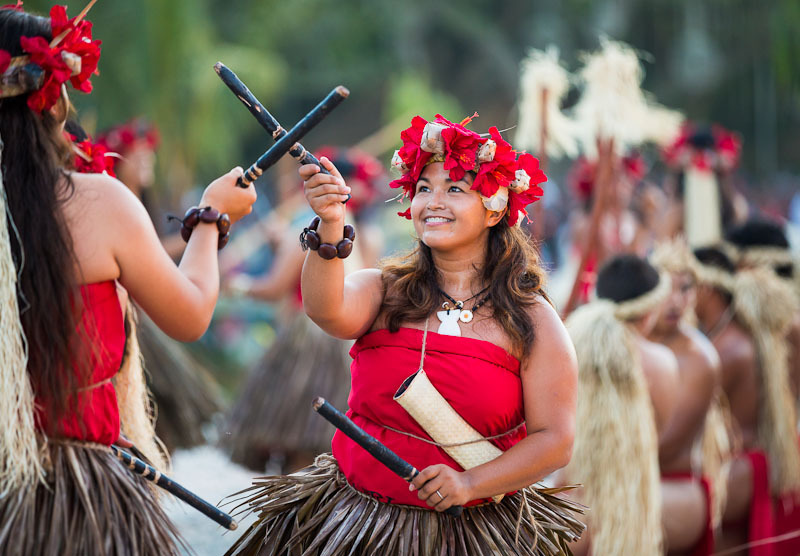 The Tahitian’s are all colour and spectacle and I can’t help but grin broadly from behind the camera. The light is fading, but the energy is just increasing, and my heart is swelling as the mind-blowing displays of culture, art, pride and intense energy are directed right at me. And they aren’t stopping. 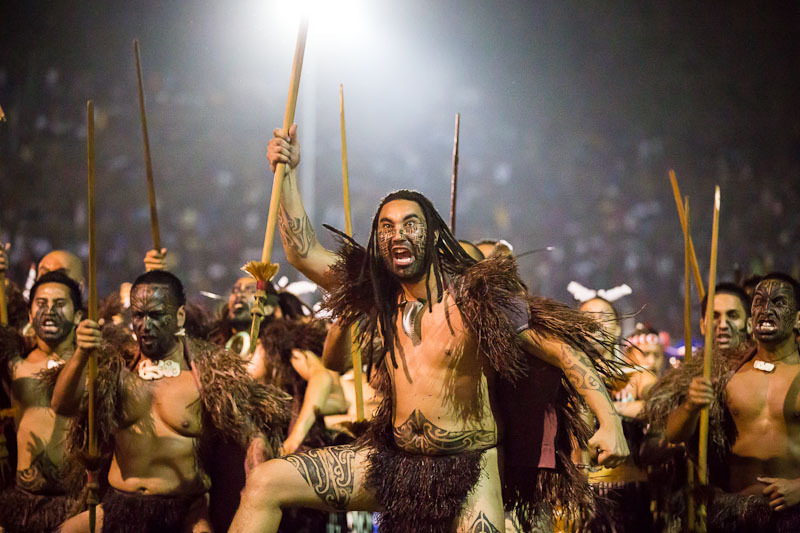 By the time the Maori New Zealanders have finished their unbelievably intense war dance followed by the infamous Haka – my heart is bursting with emotion and there are tears rolling down my face. But the night is still young and we aren’t even half way through. Have a look for yourself. 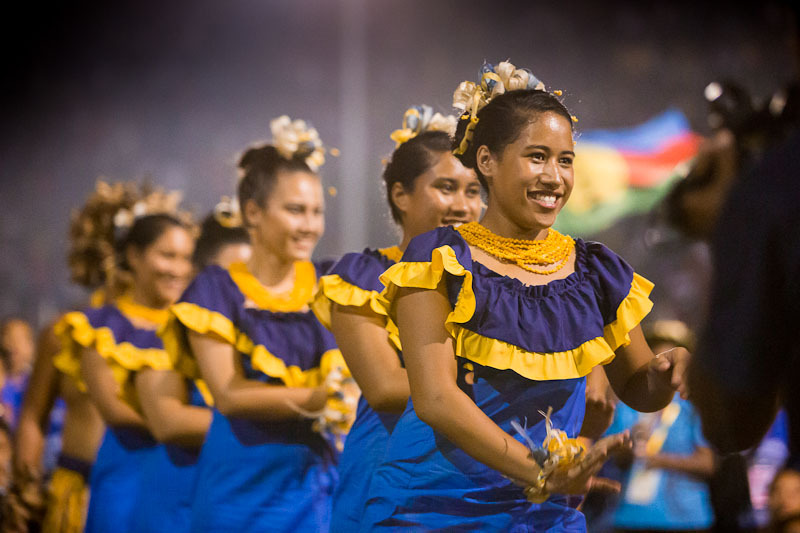 Here’s just a few shots from an exhilarating opening night for the 11th Festival of Pacific Arts. 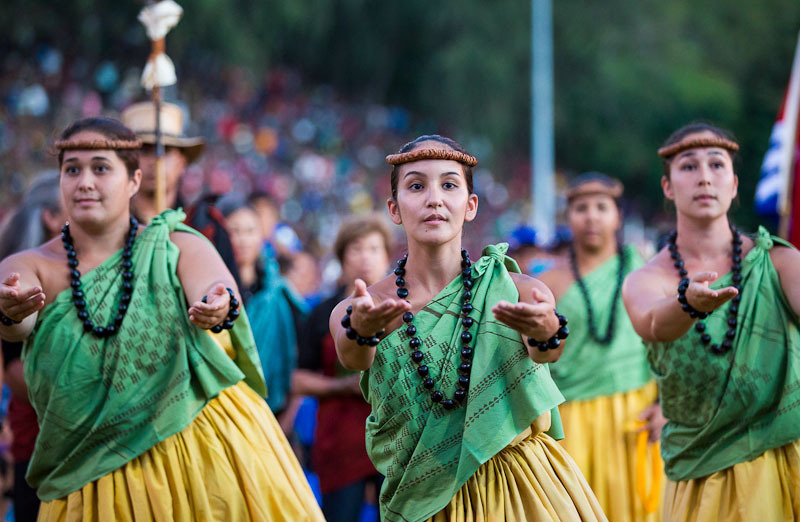 Thanks for the wonderful coverage of the Festival of the Pacific Arts 2012. I was in the crowd during that great and colourful opening at the Soccer Staduim; Lawson Tama, did the First Aid coverage with the Red Cross. 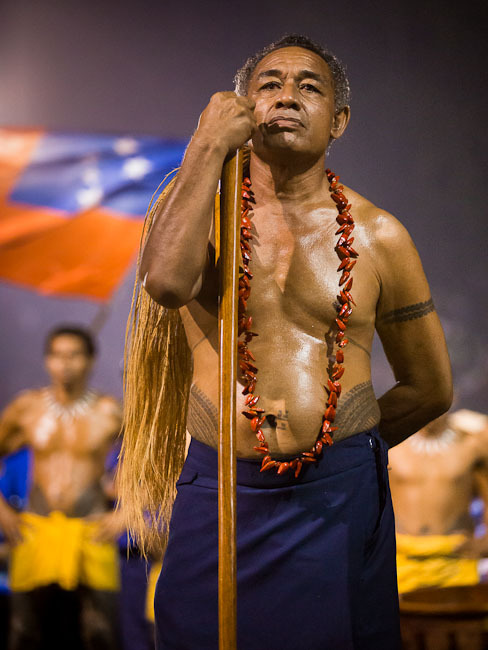 It was such a great opportunity to participate in that biggest gathering of the Pacific people and their rich and diverse cultures.